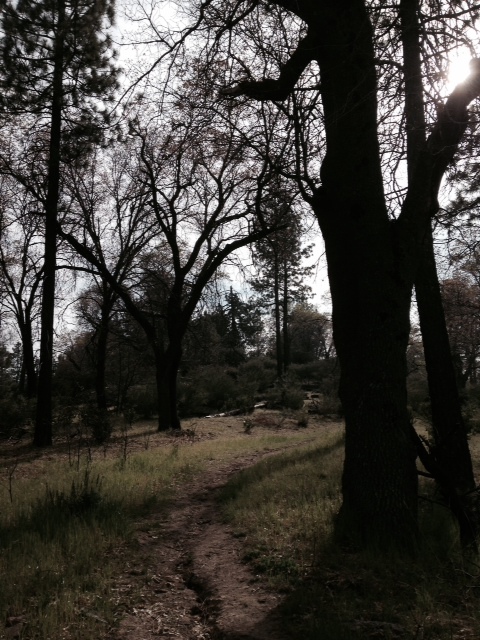 Location: Western San Bernardino Mountains north of Lake Arrowhead. From I-210 in San Bernardino, take Highway 18 (Waterman Ave. exit) and go north for 14.2 miles. Turn left on Lake Gregory Drive and make an immediate right on Highway 189. 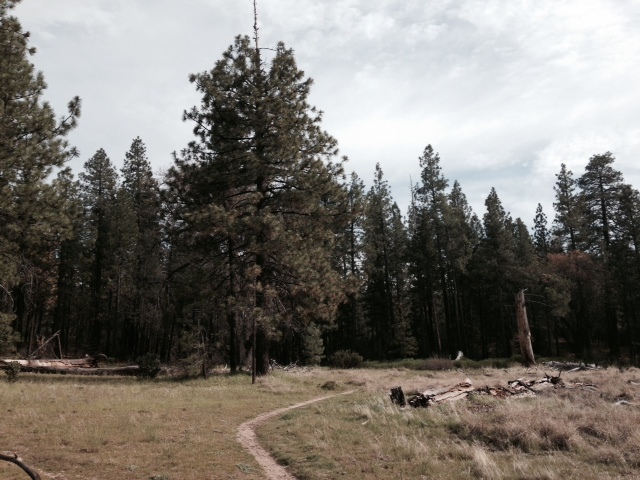 Go a total of 2.7 miles on 189, through the town of Twin Peaks, and turn left on Grass Valley Road. (There’s a gas station at the intersection). This intersection can be a little tricky, so be careful. Go a total of 4.2 miles on Grass Valley Road (at 1.9 miles, look for a sharp left turn; if you stay straight, you’ll end up on Peninsula Drive.) 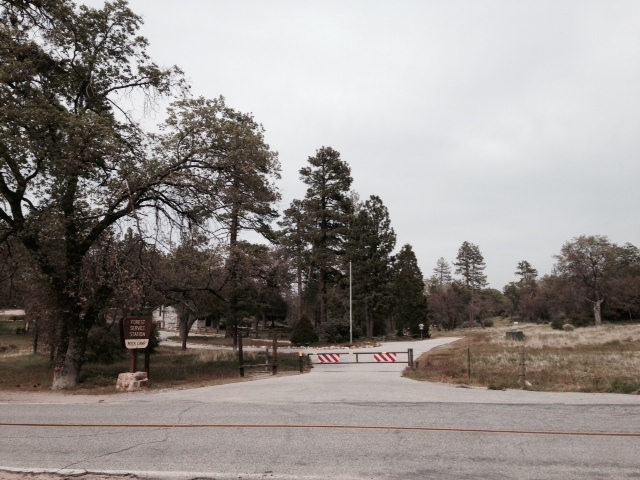 Grass Valley Road dead-ends at Highway 173. Turn left and drive 0.2 miles to the signed Metate Trail Head on the left side of the road. A United States Forest Service adventure pass ($5 per day or $30 for the year) is required for parking. Click here to purchase. 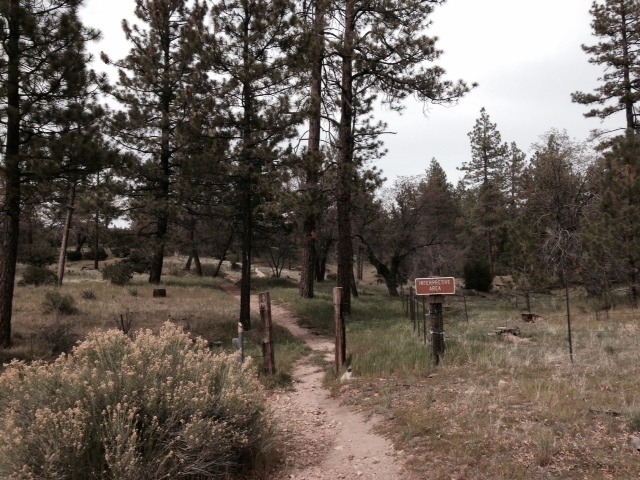 Pronounced “meh-TAH-tay”, this trail – also known as the Rock Camp Trail and Indian Rock Trail and signed as 3W15 – is located in a remote area of the San Bernardino National Forest that’s popular with cyclists, but largely overlooked by hikers. 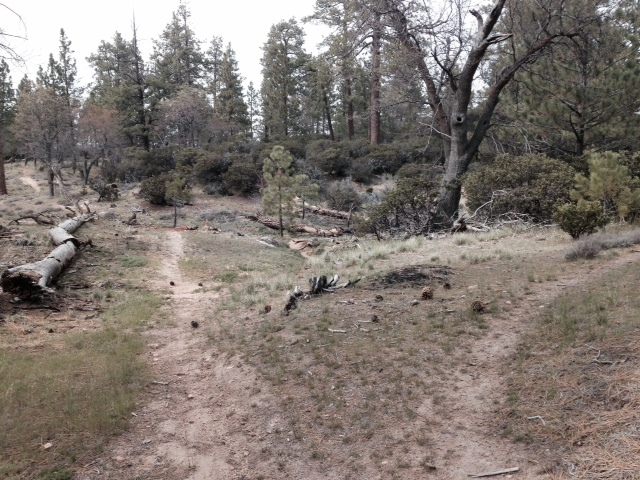 Indeed, hikers in the Lake Arrowhead/Big Bear area may be pleasantly surprised by this short but scenic trail. Close to a mile above sea level in elevation, the Metate Trail explores a grassy woodland populated with manzanita, black oaks and pines. There are several single-track trails that cross the area and hikers can also extend their trip on Forest Road 3W11 which is nearby. The 1.2-mile loop described here is a nice introduction to the area; a perfect escape into nature about an hour’s drive from the Riverside/San Bernardino area. If you’re up here for the day to check out other nearby trails, such as the Pinnacles or Bradford Ridge, the Metate is a worthwhile stop. 0:12 – This time turn right. You follow the trail through an attractive woodland, reaching a T-junction by a meadow 3/4 of a mile from the start. Turn left and keep an eye out for some morteros pounded into rock on the right side of the trail. 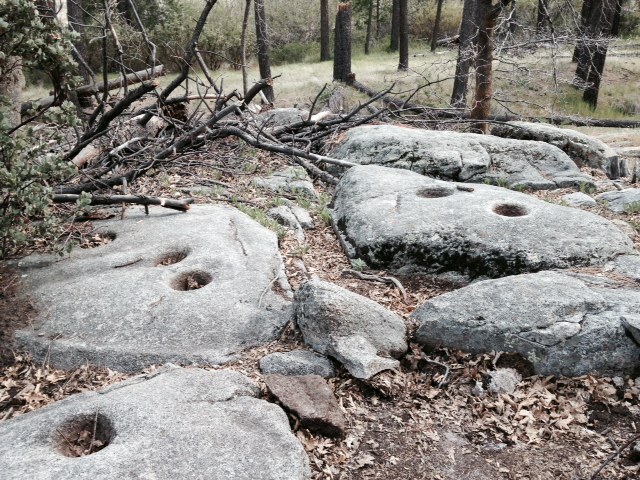 Native Americans used these holes to grind and prepare their food. 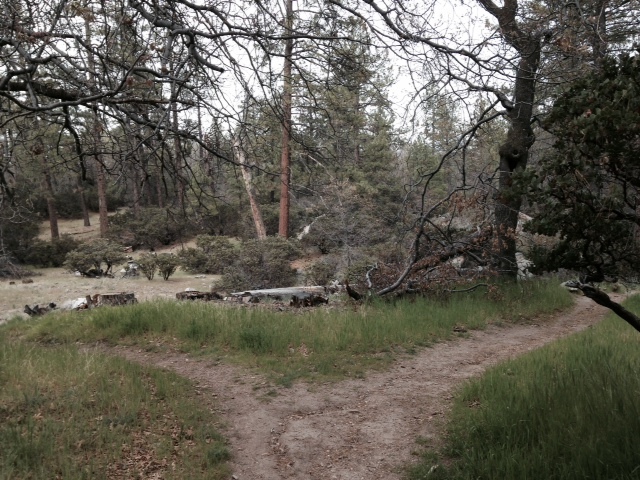 After crossing a creek, the trail curves through the meadow. You cross the creek again on the far side and follow the trail back to the junction, completing the loop. Cross Highawy 173 again to return to the parking area.